An adult needs about 0.5 g of sodium per day, whereas the typical American diet contains 3 to 7 g/day. Thus a dietary sodium deficiency is rare, and the primary concern is adequate excretion of the excess. This is one of the most important roles of the kidneys. There are multiple mecha nisms for controlling sodium concentration, tied to its effects on blood pressure and osmolarity and coordinated by three hormones: aldosterone, antidiuretic hormone, and atrial natriuretic peptide. Aldosterone, the "salt-retaining hormone," plays the primary role in adjustment of sodium excretion. Hypona-tremia and hyperkalemia directly stimulate the adrenal cortex to secrete aldosterone, and hypotension stimulates its secretion by way of the renin-angiotensin mechanism (fig. 24.7). Only cells of the distal convoluted tubule and cortical part of the collecting duct have aldosterone receptors. Aldosterone, a steroid, binds to nuclear receptors and activates transcription of a gene for the Na+-K+ pump. In 10 to 30 minutes, enough Na+-K+ pumps are synthesized and installed in the plasma membrane to produce a noticeable effect—sodium concentration in the urine begins to fall and potassium concentration rises as the tubules reabsorb more Na+ and secrete more H+ and K+. Water and Cl_ passively follow Na+. Thus the primary effects of aldosterone are that the urine contains less NaCl and more K+ and has a lower pH. An average adult male excretes 5 g of sodium per day, but the urine can be virtually sodium-free when aldosterone level is high. Although aldosterone strongly influences sodium reabsorption, it has little effect on plasma sodium concentration because reabsorbed sodium is accompanied by a proportionate amount of water. Hypertension inhibits the renin-angiotensin-aldos-terone mechanism. The kidneys then reabsorb almost no sodium beyond the proximal convoluted tubule (PCT), and the urine contains up to 30 g of sodium per day. Figure 24.7 The Secretion and Effects of Aldosterone. The pathway shown in red represents negative feedback. What is required, in addition to aldosterone, to increase blood volume? Several other hormones also affect sodium home-ostasis. Estrogens mimic the effect of aldosterone and cause women to retain water during pregnancy and part of the menstrual cycle. 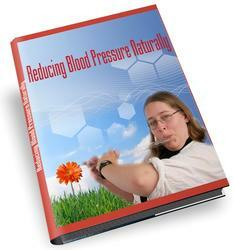 Progesterone reduces sodium reabsorption and has a diuretic effect. High levels of glucocor-ticoids promote sodium reabsorption and edema. In some cases, sodium homeostasis is achieved by regulation of salt intake. A craving for salt occurs in people who are depleted of sodium; for example, by blood loss or Addison disease. Pregnant women sometimes develop a craving for salty foods. Salt craving is not limited to humans; many animals ranging from elephants to butterflies seek out salty soil where they can obtain this vital mineral. True imbalances in sodium concentration are relatively rare because sodium excess or depletion is almost always accompanied by proportionate changes in water volume. Hypernatremia is a plasma sodium concentration in excess of 145 mEq/L. It can result from the administration of intravenous saline (see insight 24.2, p. 933). 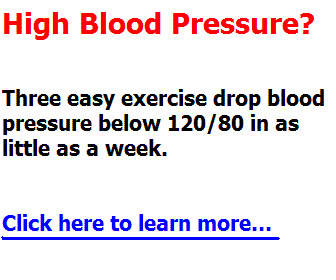 Its major consequences are water retention, hypertension, and edema. Hyponatremia (less than 130 mEq/L) is usually the result of excess body water rather than excess sodium excretion, as in the case mentioned earlier of a person who loses large volumes of sweat or urine and replaces it by drinking plain water. Usually, hyponatremia is quickly corrected by excretion of the excess water, but if uncor-rected it produces the symptoms of hypotonic hydration described earlier. Potassium sodium and water, this is offset by the rise in GFR and there is only a small drop in urine output. Antidiuretic hormone modifies water excretion independently of sodium excretion. Thus, unlike aldo-sterone, it can change sodium concentration. A high concentration of sodium in the blood stimulates the posterior lobe of the pituitary gland to release ADH. Thus the kidneys reabsorb more water, which slows down any further increase in blood sodium concentration. ADH alone cannot lower the blood sodium concentration; this requires water ingestion, but remember that ADH also stimulates thirst. A drop in sodium concentration, by contrast, inhibits ADH release. More water is excreted and this raises the concentration of the sodium that remains in the blood. Atrial natriuretic peptide (ANP) inhibits sodium and water reabsorption and the secretion of renin and ADH. The kidneys thus eliminate more sodium and water and lower the blood pressure. Potassium is the most abundant cation of the ICF and is the greatest determinant of intracellular osmolarity and cell volume. Along with sodium, it produces the resting membrane potentials and action potentials of nerve and muscle cells (fig. 24.8a). Potassium is as important as sodium to the Na+-K+ pump and its functions of cotrans-port and thermogenesis (heat production). It is an essential cofactor for protein synthesis and some other metabolic processes. Figure 24.8 Effects of Potassium Imbalances on Membrane Potentials. The circular diagram above each cell represents the voltage measured across the plasma membrane. (a) Normokalemia, with a normal resting membrane potential (RMP). (b) Hyperkalemia, with an elevated RMP. (c) Hypokalemia, with a depressed RMP. of the collecting duct (CD). When K+ concentration is high, they secrete more K+ into the filtrate and the urine may contain more K+ than the glomerulus filters from the blood. When blood K+ level is low, the CD secretes less. The intercalated cells of the distal convoluted tubule and collecting duct reabsorb K+. Aldosterone regulates potassium balance along with sodium (see fig. 24.7). A rise in K+ concentration stimulates the adrenal cortex to secrete aldosterone. Aldosterone stimulates renal secretion of K+ at the same time that it stimulates reabsorption of sodium. The more sodium there is in the urine, the less potassium, and vice versa. Physiology: The Unity of Acid-Base Balance Companies, 2003 Form and Function, Third Edition releases large amounts of K+ from ruptured cells. This can also result from a transfusion with outdated, stored blood because K+ leaks from erythrocytes into the plasma during storage. A sudden increase in extracellular K+ tends to make nerve and muscle cells abnormally excitable. Normally, K+ continually passes in and out of cells at equal rates—leaving by diffusion and reentering by the Na+-K+ pump. But in hyperkalemia, there is less concentration difference between the ICF and ECF, so the outward diffusion of K+ is reduced. 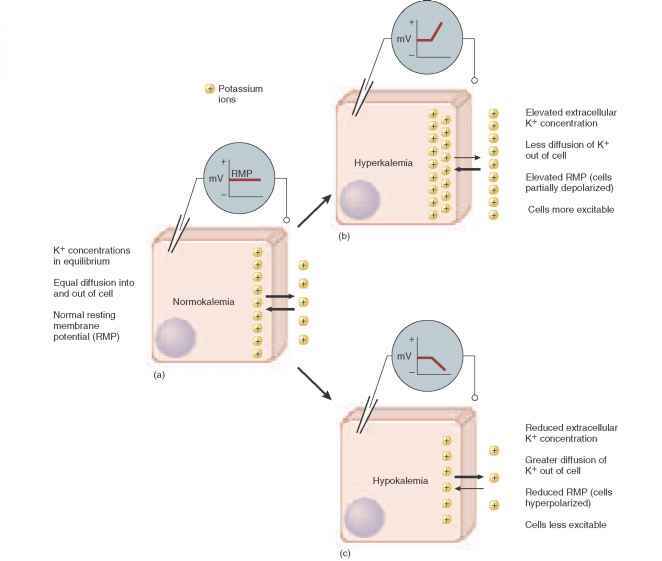 More K+ remains in the cell than normal, and the plasma membrane therefore has a less negative resting potential and is closer to the threshold at which it will set off action potentials (fig. 24.8b). This is a very dangerous condition that can quickly produce cardiac arrest. High-potassium solutions are sometimes used by veterinarians to euthanize animals and are used in some states as a lethal injection for capital punishment. Hyperkalemia can also have a slower onset stemming from such causes as aldosterone hyposecretion, renal failure, or acidosis. (The relationship of acid-base imbalances to potassium imbalances is explained later.) Paradoxically, if the extracellular K+ concentration rises slowly, nerve and muscle become less excitable. Slow depolarization of a cell inactivates voltage-gated Na+ channels, and the channels do not become excitable again until the membrane repolarizes. Inactivated Na+ channels cannot produce action potentials. For this reason, muscle cramps can be relieved by taking supplemental potassium. Hypokalemia (<3.5 mEq/L) rarely results from a dietary deficiency, because most diets contain ample amounts of potassium; it can occur, however, in people with depressed appetites. Hypokalemia more often results from heavy sweating, chronic vomiting or diarrhea, excessive use of laxatives, aldosterone hypersecretion, or alkalo-sis. As ECF potassium concentration falls, more K+ moves from the ICF to the ECF. With the loss of these cations from the cytoplasm, cells become hyperpolarized and nerve and muscle cells are less excitable (fig. 24.8c). This is reflected in muscle weakness, loss of muscle tone, depressed reflexes, and irregular electrical activity of the heart. Some tumors of the adrenal cortex secrete excess aldosterone and may cause paralysis. Explain this effect and identify the electrolyte and fluid imbalances you would expect to observe in such a case. acid (HCl), and they are involved in the chloride shift that accompanies carbon dioxide loading and unloading by the erythrocytes (see chapter 22). By a similar mechanism explained later, Cl_ plays a major role in the regulation of body pH. Cl_ is strongly attracted to Na+, K+, and Ca2+. It would require great expenditure of energy to keep it separate from these cations, so Cl_ homeostasis is achieved primarily as an effect of Na+ homeostasis—as sodium is retained or excreted, Cl_ passively follows. Hyperchloremia (>105 mEq/L) is usually the result of dietary excess or administration of intravenous saline. Hypochloremia (<95 mEq/L) is usually a side effect of hyponatremia but sometimes results from hypokalemia. In the latter case, the kidneys retain K+ by excreting more Na+, and Na+ takes Cl_ with it. The primary effects of chloride imbalances are disturbances in acid-base balance, but this works both ways—a pH imbalance arising from some other cause can also produce a chloride imbalance. Chloride balance is therefore discussed further in connection with acid-base balance. Calcium lends strength to the skeleton, activates the sliding filament mechanism of muscle contraction, serves as a second messenger for some hormones and neurotrans-mitters, activates exocytosis of neurotransmitters and other cellular secretions, and is an essential factor in blood clotting. Cells maintain a very low intracellular calcium concentration because they require a high concentration of phosphate ions (for reasons discussed shortly). If calcium and phosphate were both very concentrated in a cell, calcium phosphate crystals would precipitate in the cytoplasm (as described in chapter 7). To maintain a high phosphate concentration but avoid crystallization of calcium phosphate, cells must pump out Ca2+ and keep it at a low intracellular concentration or else sequester Ca2+ in the smooth ER and release it only when needed. Cells that store Ca2+ often have a protein called calsequestrin, which binds the stored Ca2+ and keeps it chemically unreactive. 926 Part Four Regulation and Maintenance parathyroid hormone, calcitriol, and in children, by calci-tonin. These hormones regulate blood calcium concentration through their effects on bone deposition and resorption, intestinal absorption of calcium, and urinary excretion. Hypercalcemia (>5.8 mEq/L) can result from alkalosis, hyperparathyroidism, or hypothyroidism. It reduces the Na+ permeability of plasma membranes and inhibits the depolarization of nerve and muscle cells. At concentrations > 12 mEq/dL, hypercalcemia causes muscular weakness, depressed reflexes, and cardiac arrhythmia. Hypocalcemia (<4.5 mEq/L) can result from vitamin D deficiency, diarrhea, pregnancy, lactation, acidosis, hypo-parathyroidism, or hyperthyroidism. It increases the Na+ permeability of plasma membranes causing the nervous and muscular systems to be overly excitable. Tetany occurs when calcium concentration drops to 6 mg/dL and may be lethal at 4 mg/dL due to laryngospasm and suffocation. The inorganic phosphates (Pi) of the body fluids are an equilibrium mixture of phosphate (PO43~), monohydro-gen phosphate (HPO42~), and dihydrogen phosphate (H2PO4~) ions. Phosphates are relatively concentrated in the ICF, where they are generated by the hydrolysis of ATP and other phosphate compounds. They are a component of nucleic acids, phospholipids, ATP, GTP, cAMP, and related compounds. Every process that depends on ATP depends on phosphate ions. Phosphates activate many metabolic pathways by phosphorylating enzymes and substrates such as glucose. They are also important as buffers that help stabilize the pH of the body fluids. The average diet provides ample amounts of phosphate ions, which are readily absorbed by the small intestine. Plasma phosphate concentration is usually maintained at about 4 mEq/L, with continual loss of excess phosphate by glomerular filtration. If plasma phosphate concentration drops much below this level, however, the renal tubules reabsorb all filtered phosphate. Parathyroid hormone increases the excretion of phosphate as part of the mechanism for increasing the concentration of free calcium ions in the ECF. Lowering the ECF phosphate concentration minimizes the formation of calcium phosphate and thus helps support plasma calcium concentration. Rates of phosphate excretion are also strongly affected by the pH of the urine, as discussed shortly. Phosphate homeostasis is not as critical as that of other electrolytes. The body can tolerate broad variations several times above or below the normal concentration with little immediate effect on physiology. 6. Which of these do you think would have the most serious effect, and why—a 5 mEq/L increase in the plasma concentration of sodium, potassium, chloride, or calcium? 7. Answer the same question for a 5 mEq/L decrease. 8. Explain why ADH is more likely than aldosterone to change the osmolarity of the blood plasma. 9. Explain why aldosterone hyposecretion could cause hypochloremia. 10. Why are more phosphate ions required in the ICF than in the ECF? How does this affect the distribution of calcium ions between these fluid compartments? Why antiduretic when taking slow potassium?